By Jeremy Murray, Regional Manager, Field Operations, Americas at Pratt & Whitney Canada and Dave Baxter, Director of Sales, Midwest for Librestream Technologies Inc. The term “virtual presence”, refers to bringing the eyes and ears of experts into the field virtually to rapidly respond to customer inquiries. How it works is simple. For example, a customer back at the hangar has Librestream’s Onsight Connect app installed on their smartphone. Along with an Onsight 400R Collaboration Hub, a borescope can be connected to provide a direct two-way audio-visual link between the customer and remote expert. 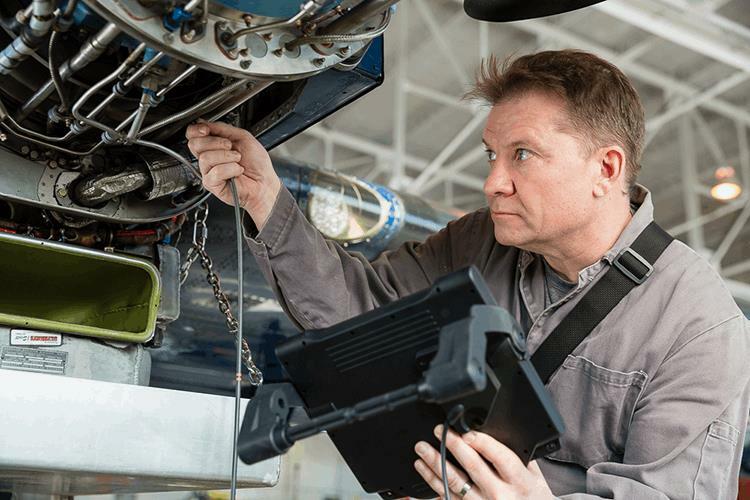 In this case, a remote Customer Engineer has Onsight Connect running on their computer and is remotely assisting in the inspection so that decisions can be made quickly and accurately to get the aircraft back in service.